On Friday night at the San Diego State Sports Deck, the first 250 fans who showed up to watch the Mountain West women’s soccer showdown between SDSU (10-4, 6-1 MW) and Fresno State (4-9-1, 3-3-1 MW) received a free T-shirt. On the back of the shirt, it reads “Believe in 23,” a saying referring to SDSU’s pursuit of its 23rd conference championship. 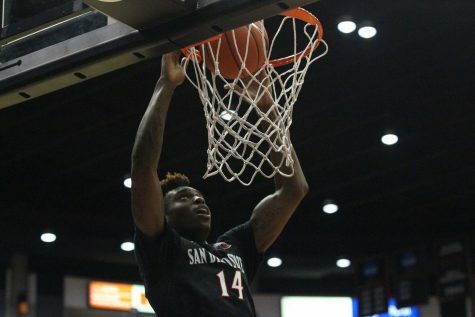 Ironically, the Aztecs player who wears No. 23, sophomore defender Hailey Balma, has helped the team to its recent surge. 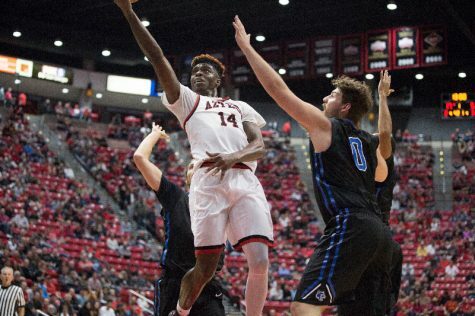 Since Balma’s first start against Boise State a few weeks ago, the Aztecs are 6-1 and they extended their winning streak to six with a 2-1 win over Fresno State. But Balma insists the recent surge is a result of the team performing well as a unit. Win No. 6 was not as easy as the Aztecs might have anticipated, though. The Bulldogs overloaded with midfielders, making it difficult for the Aztecs to control the middle of the field. 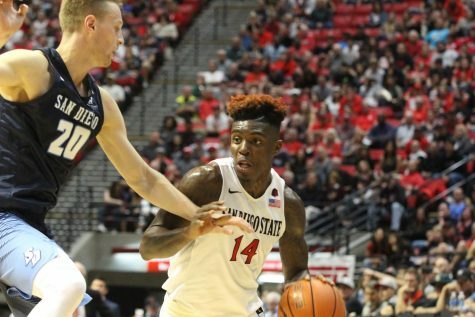 SDSU head coach Mike Friesen said Fresno State surprised his team with an unfamiliar game plan. Balma said the Aztecs stayed true to their game plan, despite being outmatched in the midfield. “We didn’t really change our way of playing, but we were definitely focusing on their creative way of playing.” Balma said. 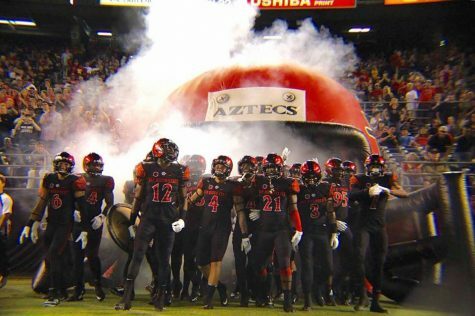 The match began the way almost every one for the Aztecs has: quickly. Freshman forward Leah Pruitt had two big opportunities to give the Aztecs an early lead in the fifth and sixth minutes, but she could not find the net on either of the finishes. The Aztecs missed two more scoring opportunities from sophomore forward Aliyah Utush in the seventh minute and junior forward Hedda Regefalk in the ninth. After senior defender Ashley Hauke broke up Fresno State’s first chance of breaking into Aztec territory in the 18th minute, SDSU once again came inches from claiming the first goal. A foul allowed junior midfielder Victoria Barba to line up a free kick near the top of the box. Barba’s shot had a little too much height to it and rang high off the crossbar. 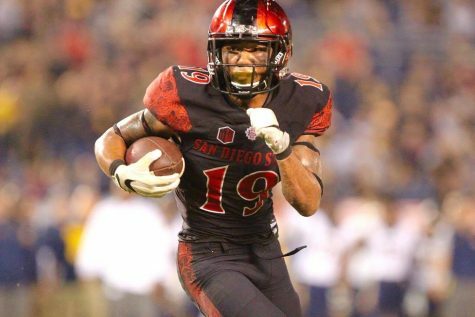 SDSU’s early aggression and pressure on the Bulldogs eventually allowed them to sneak behind the Aztec defense and create two key chances. 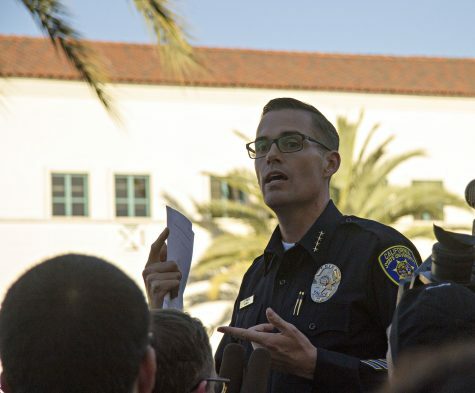 After the Bulldogs missed a golden chance on a breakaway in the 33rd minute, they finally were able to steal one from the Aztecs shortly after. Sophomore midfielders Peyton Cline and Alissa Pham ran an identical play to one they previously missed on, but this time Pham managed to capitalize and rocket one past SDSU senior goalkeeper Melanie Vaughn to give the Bulldogs a 1-0 lead 35 minutes in. 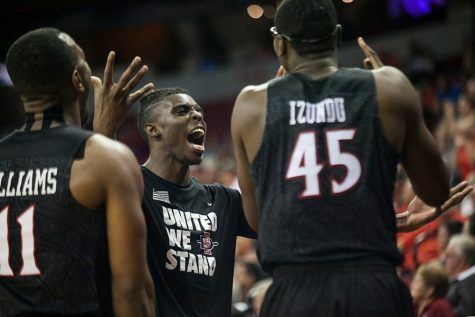 It was the first time all season the Aztecs had trailed on home turf. Despite the rare deficit, Friesen had full faith in his game plan. “We just try and focus on our own process, not worry about what the score is, and keep playing,” Friesen said. Just before halftime, Pruitt tied the game up 1-1 by heading in a midrange shot from junior defender Jen Rupey. In the second half, the Aztecs made slight tweaks to their formation to deal with Fresno State’s creative playing style and were able to control the game a little easier. Senior goalkeeper Melanie Vaughn denied Fresno of a second lead in the 50th minute when she froze a ball on the goal line. Shortly after, Vaughn made another key save, and the juicy rebound was cleared out of harm’s way by sophomore forward Angela Mitchell. The Aztecs’ ball control in the second half eventually gave them the lead. Pruitt was taken down in the box following a breakaway set up by freshman forward Milan Moses’ through ball. Pruitt was rewarded a penalty kick, and converted to give the Aztecs their first lead of the match. They would not look back. 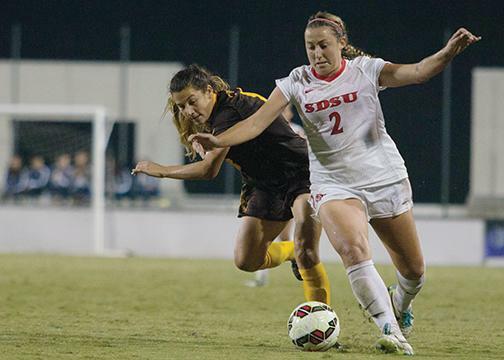 Vaughn and SDSU survived through a gauntlet of Fresno headers in the 79th minute, and the Aztecs walked away with a 2-1 victory. The win, however, possibly came with a tough price. 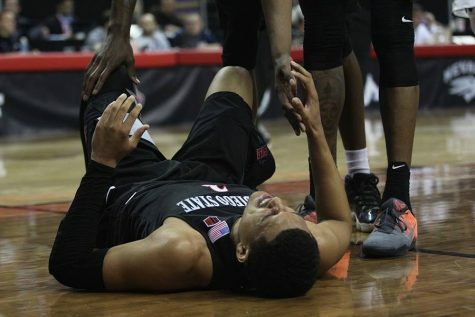 Near the end of the game, the Aztecs had to sub out Rupey and Pruitt for injury. 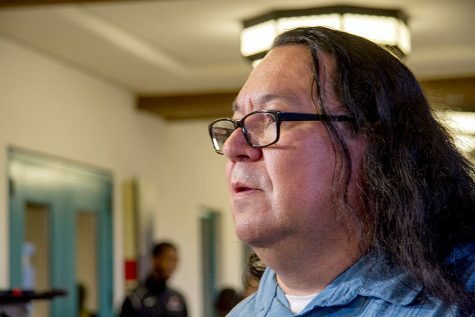 Friesen is optimistic about Pruitt health, however he’s unsure about Rupey’s. Although a little close for comfort, Friesen believes being able to grind out a win like this is an important quality of a good team.